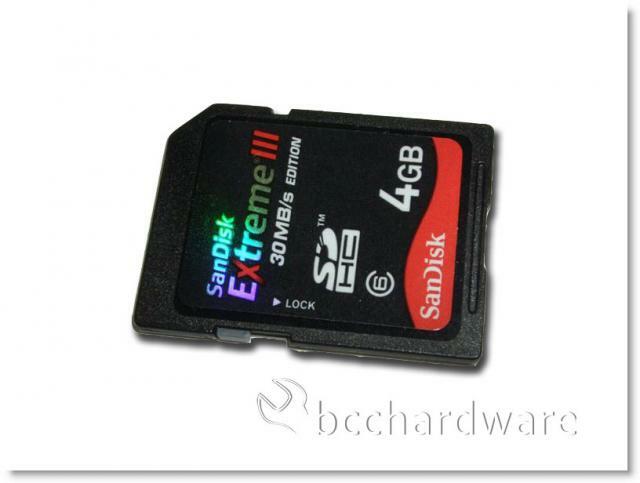 There are a lot of devices today that use SDHC flash memory. From GPS units to Photo Frames, and of course digital cameras, there are dozens of devices in our lives that depend on flash memory. For many consumers, the "best" flash memory is the stuff that is on sale. If you can find a 16GB Class 6 SDHC card for under $50, that is often considered the "best". SanDisk has a different approach however. While their memory comes in similar capacities, their Extreme series guarantees faster write speeds than the minimum requirement. For instance, Class 4 SD memory guarantees 4MB/sec "transfer speed" although it doesn't say if this is read speed or write speed. By the same standard, Class 6 SD memory guarantees 6MB/sec transfer speed. Again, no mention of whether this is read or write speed. In contrast, Sandisk's Extreme III series of Class 6 memory boasts speeds of up to 30MB/sec - again with a minimum transfer speed of 6MB/sec. Today we are going to see if there is any difference between the expensive SanDisk Extreme III and run of the mill cheap flash memory. Founded in 1988 by Dr. Eli Harari, an internationally recognized authority on non-volatile memory technology, SanDisk has grown to become the world's largest supplier of innovative flash memory data storage products. Serving both consumers, (with more than 200,000 retail storefronts worldwide) and original equipment manufacturers (OEMs), SanDisk designs, develops, manufactures and markets flash storage card products for a wide variety of electronic systems and digital devices. SanDisk also licenses its technology to a number of other industry-leading companies. With flash memory's capability for storing large amounts of data in a compact, removable format, SanDisk's products have helped drive the exponential growth in sales of digital cameras, multi-function mobile phones, USB flash drives, digital audio/video players, and other digital consumer devices. SanDisk currently has more than 860 U.S. patents, more than 550 foreign patents, and more than 1440 patent applications pending in the U.S. SanDisk is the only company, worldwide, that has the rights to both manufacture and sell every major flash card format, including CompactFlash®, SD™, miniSD™, microSD™, MultiMediaCard™, Reduced Size MultiMediaCard (RS-MMC™ ), Memory Stick PRO™ and related Memory Stick® products, xD-Picture Card™ and USB flash drives. 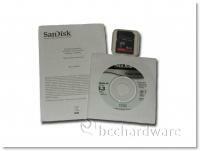 SanDisk became a publicly traded company (NASDAQ:SNDK) in November 1995, and in 2007 revenues grew to $3.9 billion. With more than 3000 employees, worldwide, SanDisk is headquartered in Milpitas, California. Normally there isn't much of a bundle that comes with SD cards, but SanDisk sweetens the deal with a manual, and some software on a CD. I thought that perhaps the CD contained a catalog or some detailed specifications regarding the Extreme III card, but in fact it contains a full copy of RescuePRO. Other than a nice easy package to open, the SanDisk Extreme III 4GB card isn't much different than pretty much every other flash card on the market. 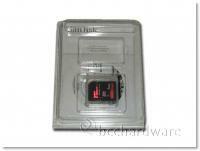 It does have a "Lock" switch so that the card is write-protected. Take a quick peek at it if you're interested before we look at the software and start performance testing. On the next page, we'll take a look at RescuePRO software before we jump into testing.